Fashionable Heart: Updates & Belated Valentine's Day! Updates & Belated Valentine's Day! We managed to get our bridge mortgage finalized and can start renovations and moving in on next Thursday. It's a week later than we wanted, but it gives us an extra week that we can definitely use. We move out of our current place officially on March 14th. It's exciting and bittersweet at the same time! Everything about this move has been daunting and when things could go wrong, they went terribly wrong. But I can finally see the finish line! Well, sorta. There's still plenty of things to be done, but we are closer. I'll take what I can get! That's pretty much the gist of our life right now. I'll do a future post on the appliances we just ordered and some of the decor on my wishlist. For now, here's some belated Valentine's Day pictures. 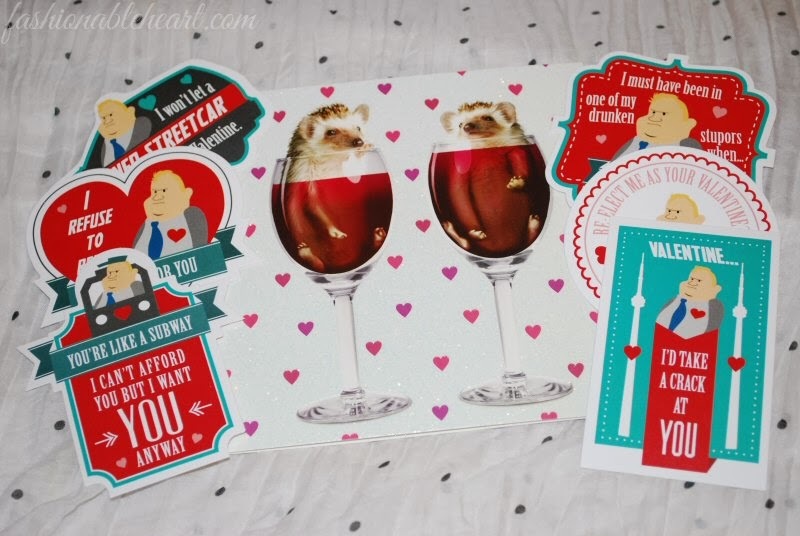 ^ My card and Rob Ford Valentines. My husband hunted down these limited edition cards and they are hilarious. I don't like making fun of others at all, but the punchlines are on point. ^ He found these in the same store as the Rob Ford Valentines. So fun! I can't wait to put these on the dining table at our new place. I collect snow globes and love bears, so this combined two things I love. ^ He got me a Tiffany necklace charm with his initial on it. It's so dainty and perfect, about the size of my fingertip. If you like light and small jewelry pieces, this is right up your alley. 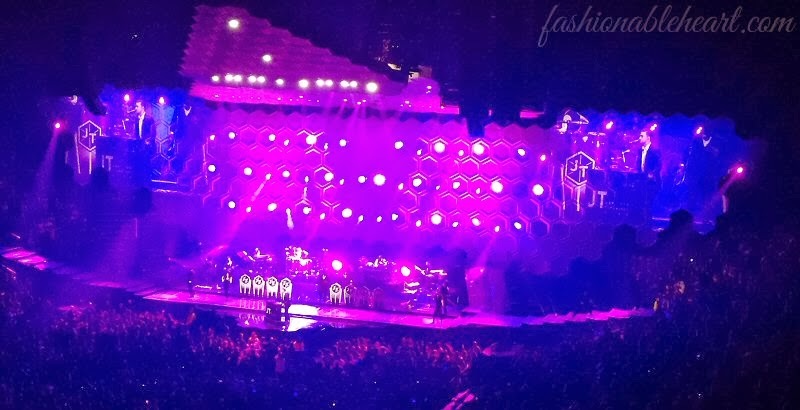 ^ And the day before Valentine's Day, I went to see Justin Timberlake with my SIL and BIL. They got me the ticket for Christmas and it was amazzzzing. Jessica Biel was even there to watch her man perform. So happy to have finally seen him live! - Love the Tiffany necklace charm! I love dainty things! - Super jealous about JT! I don't have any relatives or friends that's into JT as much as I am, so I don't have anyone to go with!